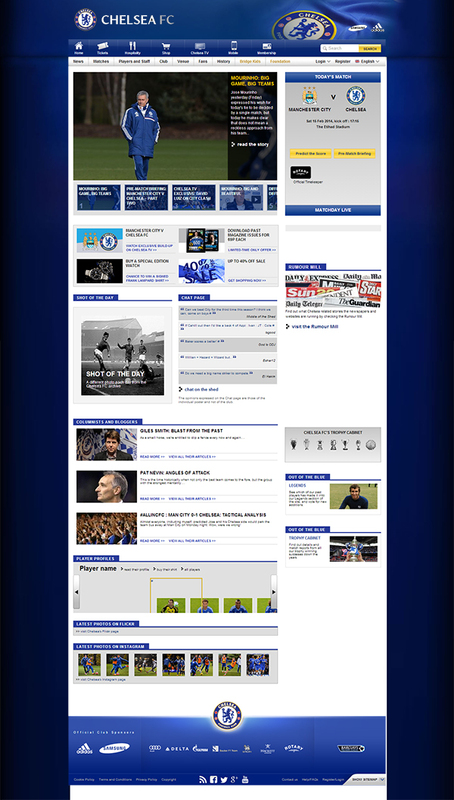 A conceptual design for a responsive web to mobile site for Chelsea FC. A new vibrant colour palette is brought in with mostly a flat design approach. Mobile content is tailored and menu navigations swapped out for a better user experience. Here’s hoping Chelsea FC can answer my emails.